There’s something special about family photos. 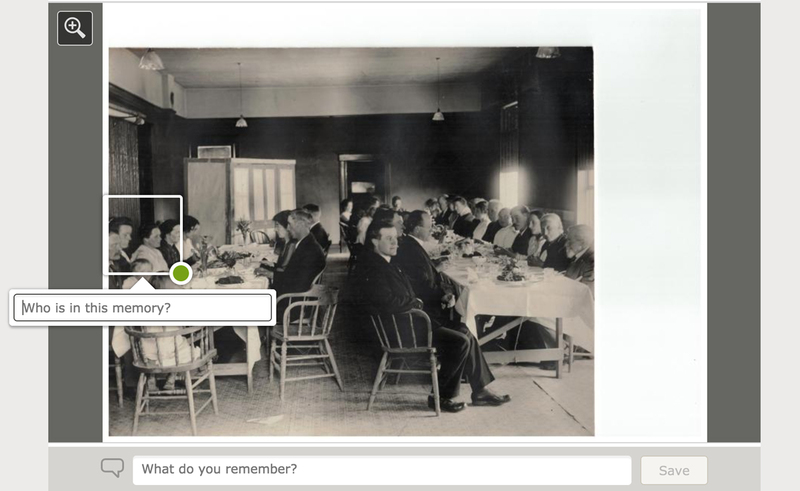 Recently, I came across a picture on FamilySearch of a Thanksgiving dinner at my great-grandparents’ home with family members seated around a long table. As I studied that photo taken sixty years ago, the past felt very close. Photos bring out our ancestors’ personalities, paint a vivid picture of their lives and help us connect with them in deeper ways. Now with FamilySearch’s updates to choosing and tagging family photos, making photos part of your family tree in meaningful ways just got easier. In the upper left-hand corner of each ancestor’s FamilySearch person page is a place for a photo—known as a “portrait.” Until recently, each person saw a different portrait, possibly one she chose by selecting from hundreds of photos that had been tagged with that ancestor’s name. 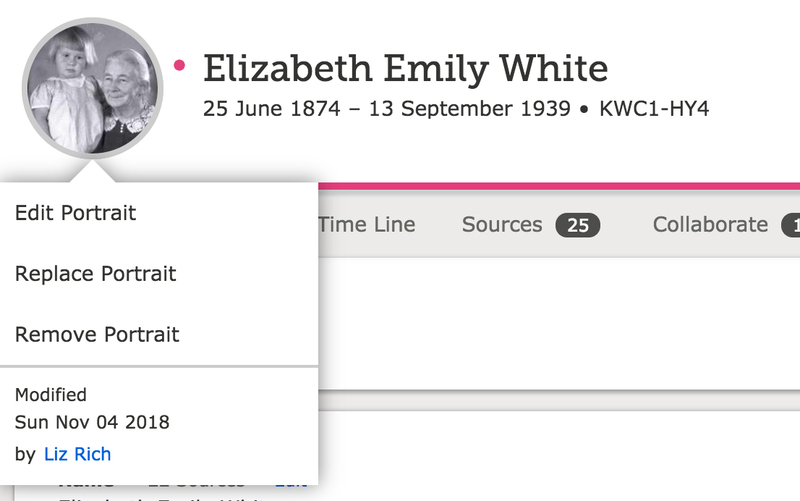 FamilySearch has now streamlined this process, connecting only one portrait to each ancestor. To see how it works, click on your ancestor’s portrait on his person page. A new menu will appear with options to Edit, Replace or Remove the portrait. If you choose Replace Portrait, a box will pop up with the question: “How would this person like to be remembered?” and a group of photos to choose from. This important question encourages researchers to choose a flattering photo that is representative of an ancestor’s life. The edit option enables you to drag the frame to the correct person or the correct spot in a photo. The menu that appears when you click on a portrait will note when the portrait was last modified and by whom so that if you have a concern or question, you are able to click on that person’s name to contact her directly. Anyone who has done family history knows that adding labels to family photos adds a great deal of value. Tagging photos on your family tree ensures that other users and future generations will know who each of the people in the photos are. FamilySearch’s tagging updates make this process easy. To tag a person in a photo, access the photo from the “Memories” tab on their person page and click on the photo of interest. As you hover over the photo, other tags might appear. Click on an untagged person and begin typing to create a new tag. You will probably notice that instead of a circular tagging tool, a square box now appears, making tagging people near the edge of photos easier. Square tags also make it easier to tag things besides faces like documents or photos of tombstones. You can see all these changes right now on your computer. In a few months, you will be able to see them on your phone in the Family Tree app as well. Family photos are central to our understanding of our ancestors. With these changes, now is a great time to head over to your family tree and take a peek. Take a minute to look at which portraits are connected to your ancestors and, if necessary, replace them with photos that represent who your ancestors really were. You can also update your family’s photos by uploading more. 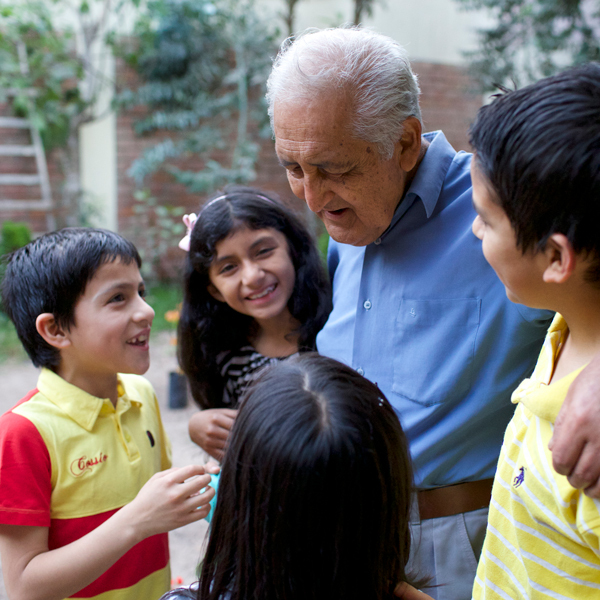 Be sure to add tags so that future generations can get to know their family members. Changes in Family Tree shed light on your ancestors’ lives. Explore your family tree in depth with the new fan chart.